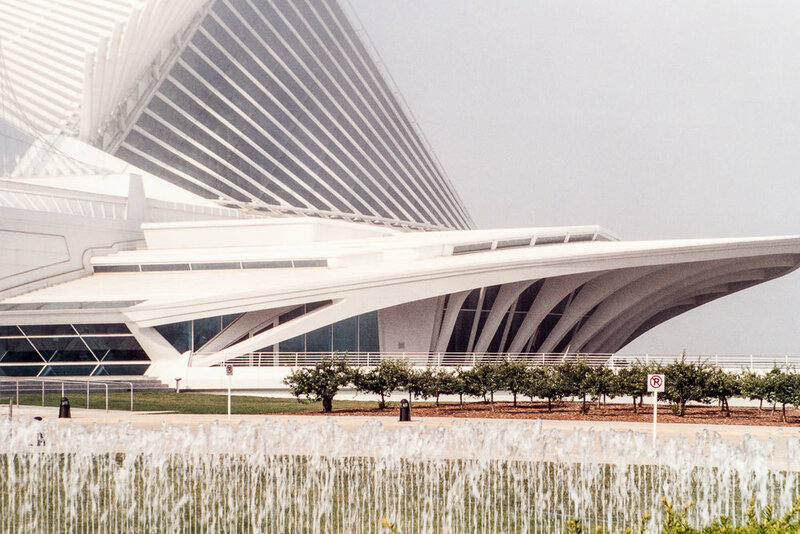 In 2004, while on vacation in the Chicago area, I had the opportunity to take a day trip to Milwaukee. 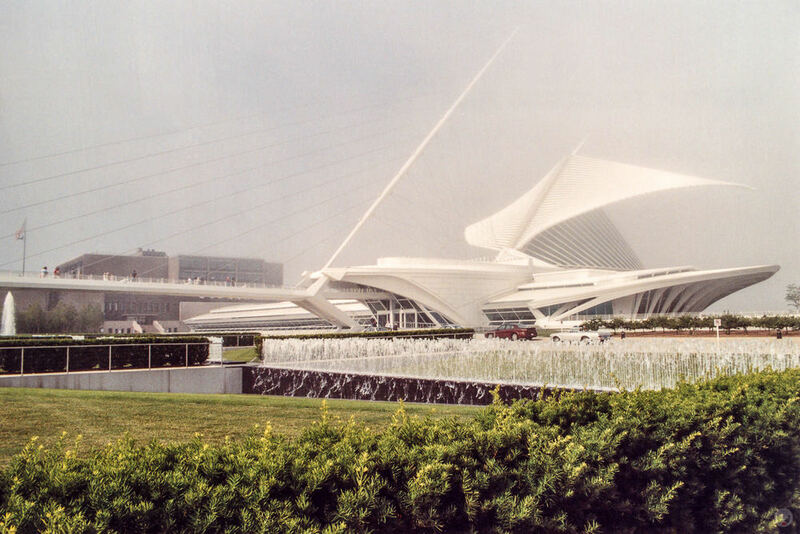 The target of that trip was the Milwaukee Art Museum - specifically the Quadracci Pavilion, which had been completed just a few years prior in 2001. 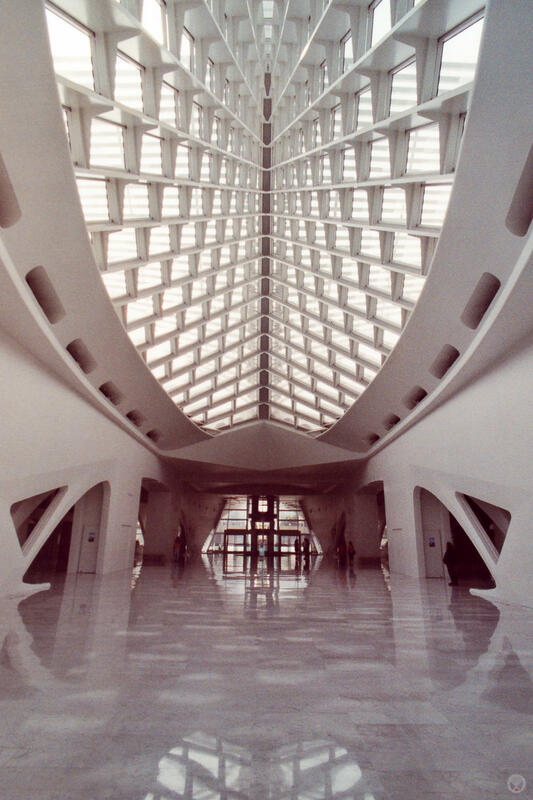 Designed by Spanish architect & engineer Santiago Calatrava, the Quadracci Pavilion was his first completed work in the United States. 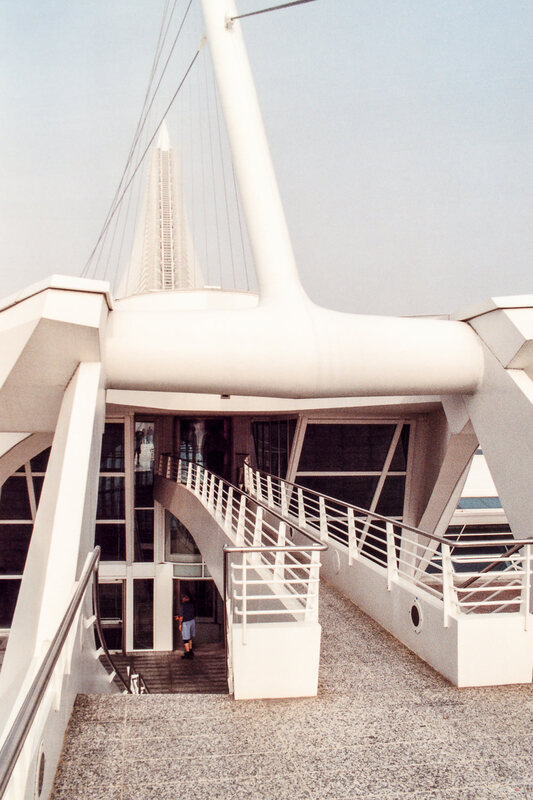 Labeled postmodern architecture by some and futuristic by others, it appears at first glance to borrow architect Richard Meier's love of the color white as well as some of the structural forms from architect Eero Saarinen's TWA Flight Center at JFK International Airport in New York. 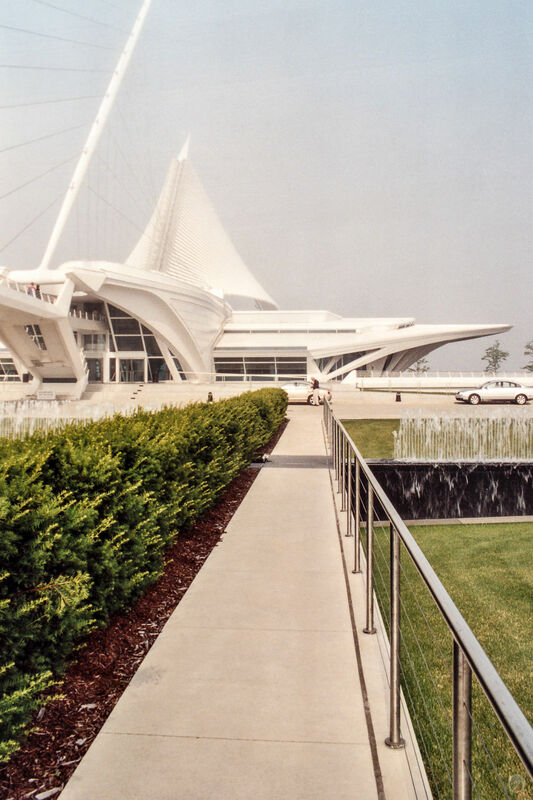 That's not entirely surprising considering Saarinen designed the War Memorial Center for the Milwaukee Art Museum in 1957 and Calatrava was vocal about taking inspiration from that work. The most striking feature of the Quadracci Pavilion is its Burke Brise Soleil - a movable sunscreen that opens and closes per a daily schedule as well as in response to weather conditions. If you've ever made it through the 2011 movie, TRANSFORMERS: THE DARK OF THE MOON, well, you have my condolences! 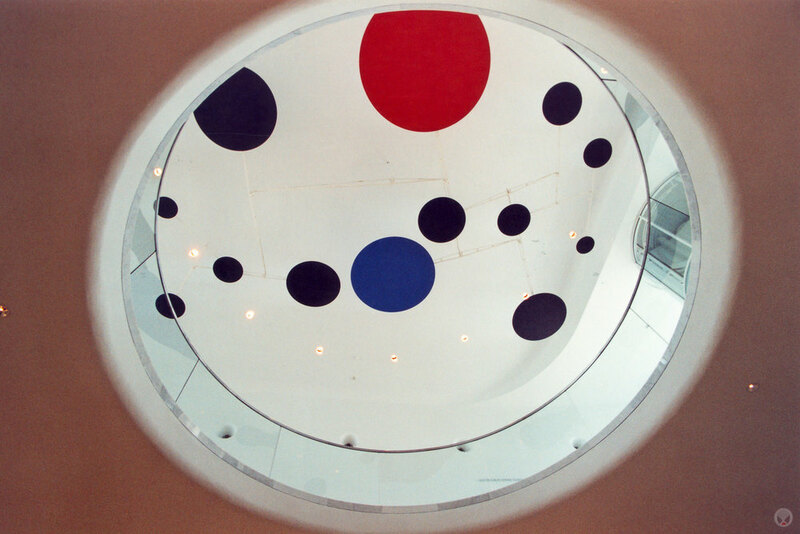 But you may also recognize the Quadracci Pavilion from it. It served as the location of automobile art gallery that was owned by Patrick Dempsey's character. 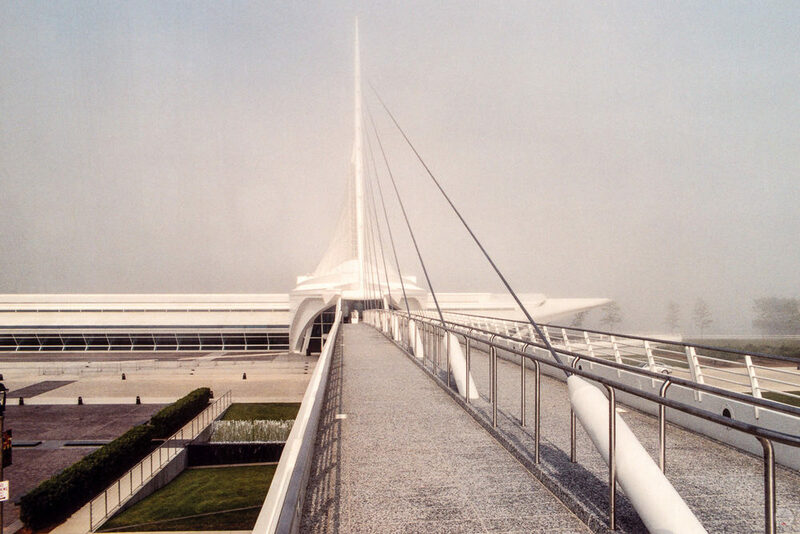 The Milwaukee Art Museum is located at 700 N. Art Museum Drive, Milwaukee, WI 53202 and well worth visiting if you are in the area.